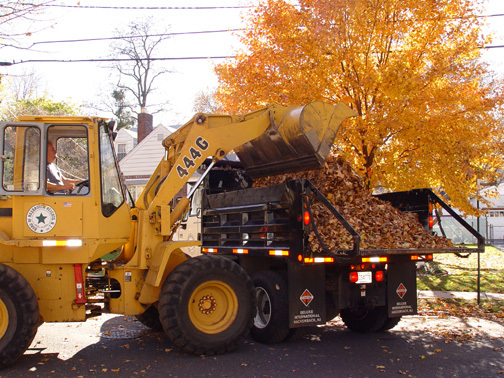 The DPW continued the service of curb-side leaf collection from October 15th until December 1st. 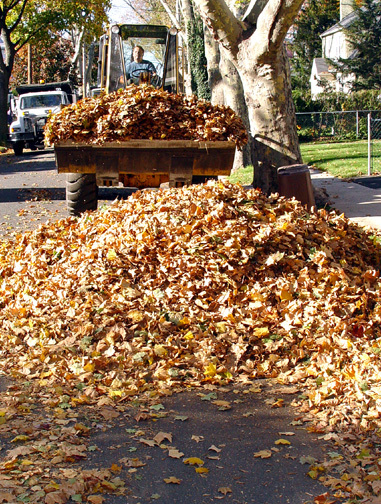 The DPW consolidated leaves into larger piles on the street. Heavy equipment then picked up and took the leaves to the DPW yard on Plant Road. The collected leaves were then loaded into containers and taken by the DPW to a transfer station in Kearny operated by Natures Choice. 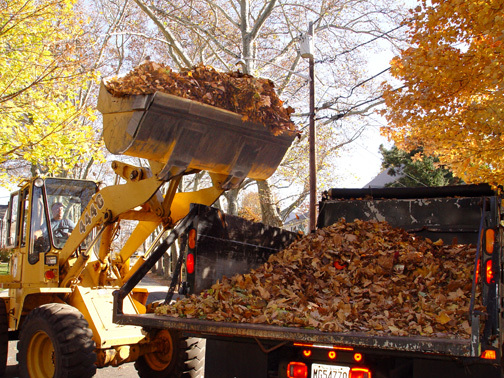 The Borough pays about $8.50 per cubic yard for disposal. Leaves are recycled into a peat moss type compost. 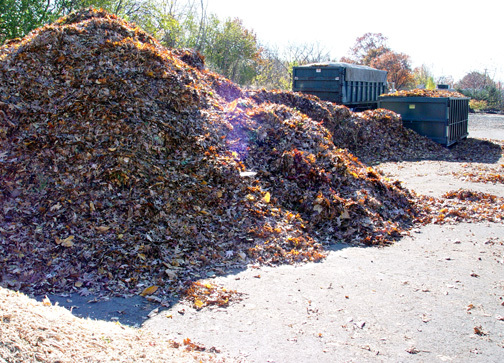 Leaves lose 80% of their volume during composting. The compost is then screened. Compost is then used as organic fertilizer "vitamins for dirt," or mixed into a sand product to create synthetic topsoil which is sold to landscapers, garden centers, etc.